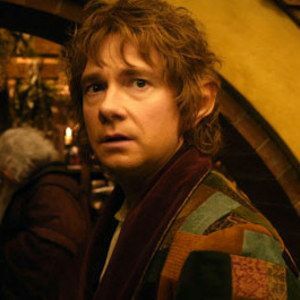 Yesterday, director Peter Jackson announced that the second trailer for The Hobbit: An Unexpected Journey will arrive Wednesday, September 19, as a part of J.R.R. Tolkien Week. The filmmaker also revealed that more "special content" will be released throughout the week, which celebrates the 75th anniversary of The Hobbit's publication. Today, we have six new photos from The Hobbit: An Unexpected Journey, featuring Bilbo Baggins (Martin Freeman), Gandalf (Ian McKellen), Thorin Oakenshield (Richard Armitage), Gollum (Andy Serkis), and more cast members from this Middle Earth adventure. Check out the photos, and stay tuned throughout the week for more The Hobbit: An Unexpected Journey content.